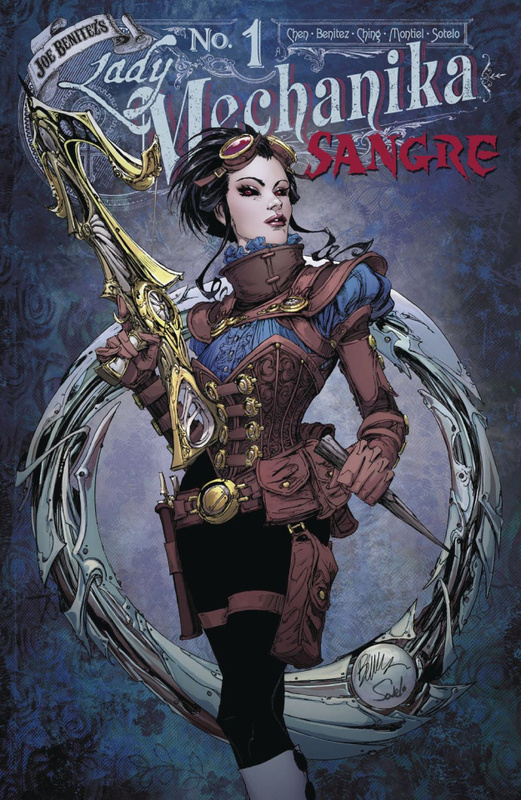 Lady Mechanika journeys to the Spanish countryside to hunt a demonic creature allegedly stalking the local bar n's son, but she quickly begins to suspect there's more to the case than meets the eye. What dark secrets are the Bar n and his wife so desperately trying to hide? Features a main story drawn by guest artist Brian Ching (Supergirl, Star Wars) with a prologue by Benitez and Montiel.